I've always been a fan of the endless runner type games. There is just something about the mindlessness of it all that keeps my playing and playing. However, most games of this genre nowadays rely on absurd in-app purchases to really have a good time with their game. 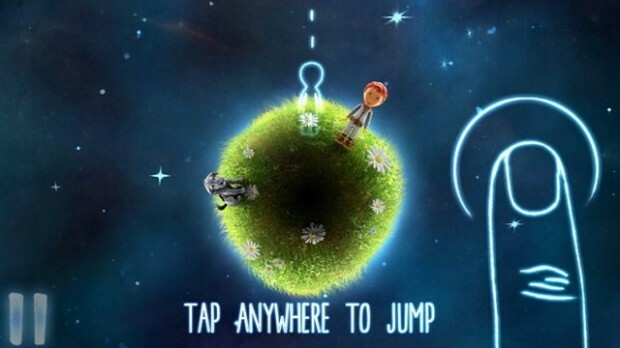 Little Galaxy by Bitmap Galaxy is totally different. Gameplay is semi reminiscent of the endless runner dynamic where you'll have to hop from planet to planet Mario Galaxy style while completing some interesting missions. Even better is Little Galaxy is a graphical masterpiece and is just a joy to look at, let alone play. Nimblebit has always been the king of time consuming "simulation" games that seem dumb until you realize you've been playing it for hours on end. 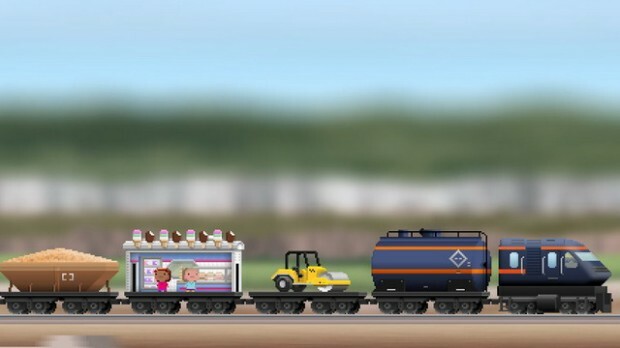 After their immense success with Tiny Tower and to some extent Pocket Planes, they released Picket Trains this year and I think it is the epitome of their Tiny/Pocket empire. Gameplay of Pocket Trains plays like Pocket Planes where you build train tracks between major cities of the world and shuttle cargo to and fro to get money. Again, sounds boring but I get super addicted to the low key nature of it all and Pocket Trains fixes all the slight timing issues I had with Pocket Planes. Hack and slash games are always fun but to be honest most nowadays seem trite and just going through the predefined notions. Reaper by Hexage is totally different and makes the genre fun to play again. Where Reaper really succeeds is in the graphics and the controls. Control wise Reaper plays very seamlessly where you'll be jumping, slashing and bouncing all over the place having a ball. Graphics wise, Reaper is one of the best looking games I've played this year hands down. So much detail is put into every aspect, from the enemies to the background landscapes. Reaper is a game everyone should play this year. As a huge fan of The Walking dead, both comic and television show, I was super excited to hear about The Walking Dead: Assault game coming out. 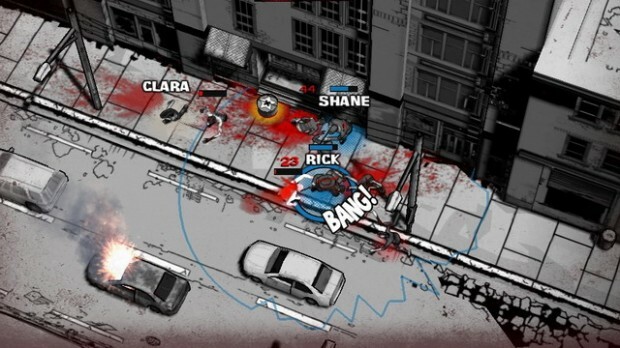 I was wary at first as games based on television shows and other mediums usually don't turn out well but The Walking Dead: Assault totally blew my mind. It has a great look similar to the comics, features all your favorite characters with their own special skills and is generally a fun and challenging game to play. You'll have to deal with hordes of zombies while being quiet and can use the environment around you to complete challenges. The Walking Dead: Assault is easily the best game based off of another medium to come out this year. One of the first games I remember playing and becoming obsessed with on any mobile device was Fruit Ninja. The idea is so simple and very addicting. 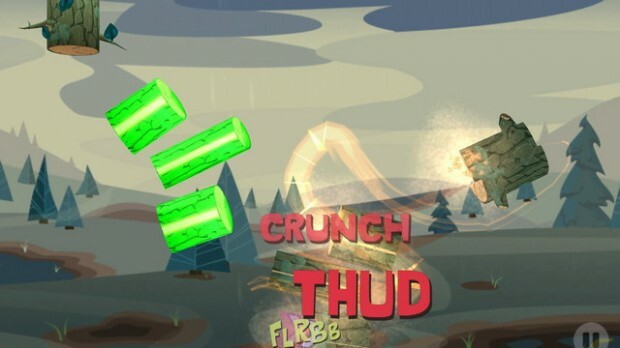 Jack Lumber takes that idea and makes it into more of a fast action puzzle game that is still just as addicting (and very humorous). Instead of slicing fruit, Jack Lumber has you slicing logs in specific ways all in one go. The colorful nature of it all, the silly storyline and all the lumberjack puns you can think of also help making Jack Lumber being one blast of a game to play. The award winning game, 10000000 made its way to Android devices and I couldn't have been more stoked. Match-3 games have always been sort of a guilty pleasure genre of mine yet 10000000 made the genre cool again. It mixes Bejeweled gameplay with endless running/RPG, something that seems so odd yet works so well. Gameplay is super simple to pick up and you will find yourself playing for hours and hours. Leave it up to EightyEight Games to take two relatively boring genres and make one of the best games this year (for Android at least). If you love games like Binding of Isaac then Quadropus Rampage is the game for you. Perma-death, completely randomized levels, and tons and tons of loot to collect all abound in Quadropus Rampage. 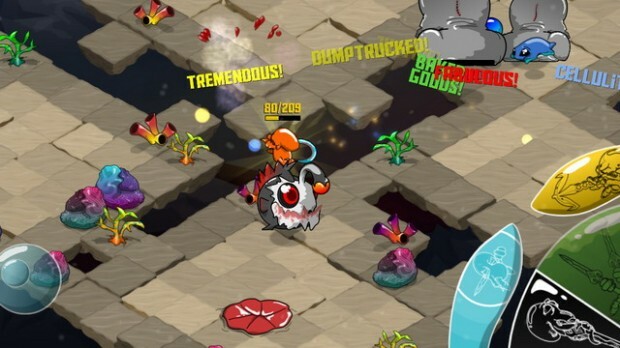 Butterscotch Shenanigans is one of the best developers I know and it shows in Quadropus Rampage. Gameplay is super fun as well as funny. I mean, you play as a squid beating down other aquatic organisms with anchors and tennis rackets. I easily sunk in literal days worth of time in Quadropus Rampage and do not regret it at all. Seemingly way back when Triple Town really showed me how addicting a simple "combine-3" puzzle dynamic could be. Then I discovered Pixel Defenders Puzzle by Gary Whittle which took that dynamic and made it so much more engaging. Instead of just combining objects together to rack up a high score there was actually challenges to complete and somewhat of a strategy to it all. Combine that with excellent pixelated graphics and you have me hooked. 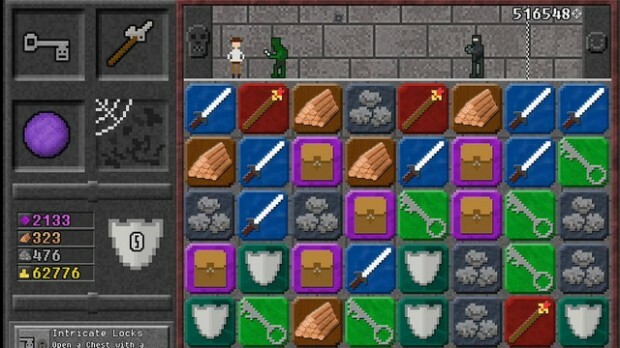 If you want a puzzle strategy game like no other than Pixel Defenders Puzzle is the total package for you and you won't regret your decision to download it. Badland is another game that Android finally got in 2013 that blew me away. Gameplay is so simple but it still left a lasting impression on me as Badland is not really about the game itself but the experience of playing. See, you control a single organism thingy simply flying from point A to B in every level but the journey is amazing. You find yourself in bizarre worlds with everything trying to kill you and then you gain and control swarms of whatever you are in a mad dash of survival. 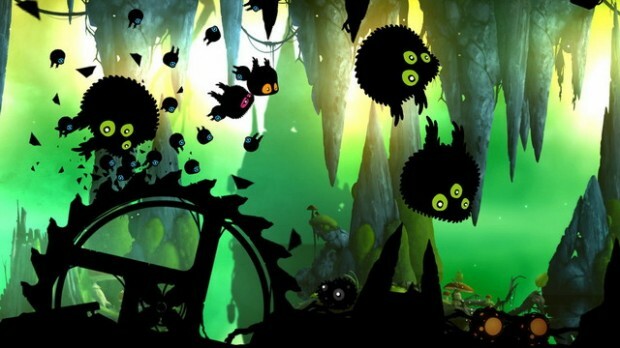 Badland is essentially an atmospheric Lemmings game that is simple to play and impossible to put down. 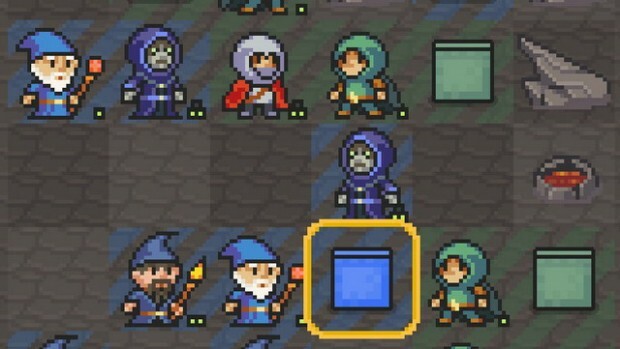 I feel I have a connection with the Kingdom Rush series and Ironhide Studios as I was one of the original beta testers on Armor Games back when the original Kingdom Rush came out in flash. Since then I have been a dedicated fan and for good reason. 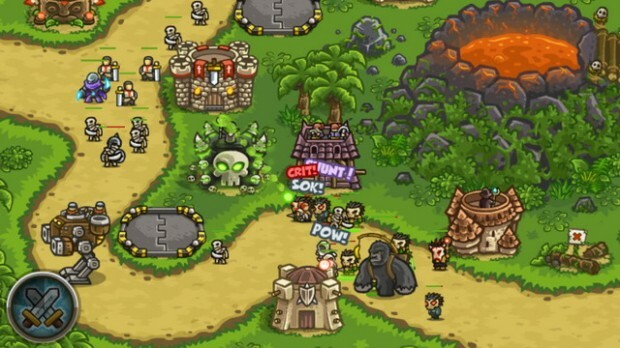 The original Kingdom Rush completely redefined tower defense games and caused a noticeable shift in graphical and gameplay styles for new tower defense games. Then Kingdom Rush Frontiers came out and blew us all away again. Sure, there wasn't that many major changes but Kingdom Rush Frontiers still offered the same level of polish that we know and love and tons of levels to keep you occupied for days.